THE new season of The Block has thrown up a geometrical head spinner for a fresh crop of renovation novices. Five teams will transform the eight-sided, eight-story Hotel Saville in South Yarra into 225sq.m luxury apartments. The shape of the building, which has been nicknamed the "Blocktagon", means none of the apartments will have any right angles. 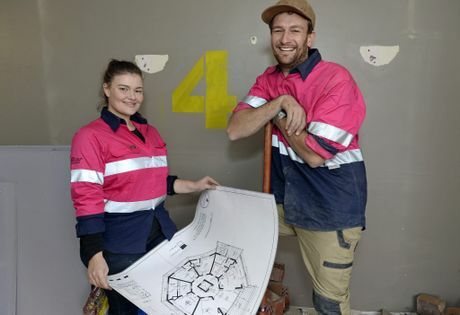 Townsville larrikin Kingi, who is competing on the show with his partner Caroline, has a handy analogy for the renovation jigsaw puzzle. "Every room is a triangle, like a pizza slice," he tells APN. "There are really tough angles to work with for things like cutting plasterboard and cabinetry. It's a lot more time consuming than what a normal square room would be." The parents, both 31, are one of four new teams to star on the show alongside WA siblings Luke and Ebony, who narrowly missed out on a spot on the most recent Triple Threat season earlier this year. Kingi is a renderer, while Caroline is a cheerleader. "When we first started the show we had no idea. We're the first to admit that," Caroline says. "We have a pretty easy-going attitude and we learn from our mistakes. We're very good researchers and we learn pretty quickly. We both have a lot of energy and we're highly motivated." Scott Cam returns to host the Logie Award-winning reality show, now in its 11th season. He describes the irrepressible couple as "brawn and brains". "I'd like to think of us as muscle and hustle," Kingi laughs. 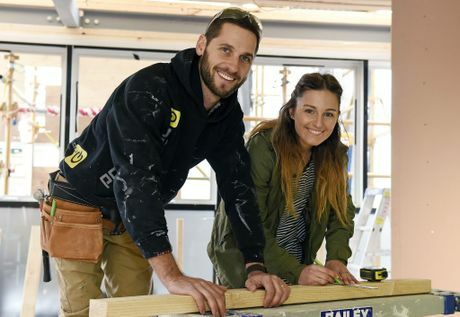 The new season features a "back to basics" approach for The Block's producers, who sought out renovation newbies that viewers can relate more closely to, rather than seasoned tradies or design-savvy all stars. "It's a pretty even playing field this year," Caroline said. "When we first started no one had an advantage over anyone else. There wasn't a team who had renovated five houses before." The North Queenslanders quickly adapted to the design aesthetics expected in a luxury city apartment. "Coming on the show we had two different styles," Kingi said. "I'm more modern industrial and Caro is more traditional; she likes heritage. "But we had to ditch our styles and look around the area to see what was happening in South Yarra. We took on a bit of inspiration from Melbourne and we've been labelled with our own style - "Scandustrial"." The Block premieres tonight at 7pm on Channel 9/WIN. These single Gold Coast mums, aged 39 and 44, have been best friends for 16. Both women used to be models and met on the set of the TV series Beastmaster. Vonni is now a personal trainer while Suzi, a mum of three, is a real estate agent. Scott Cam says: "The Gold Coast mums that are just having a crack." These Melbourne lovebirds have been dating for two years after meeting on the dating app Tinder. Whitney is a beauty therapist and Andrew is a form worker. Their only renovation experience is "prettying up" two salons. Scott Cam says: "They are the love children - The Andy man can, he mixes it with love, and love makes the world go round." These high school sweethearts met 14 years ago and are now married with a daughter. Shay is a high school English and drama teacher while Dean is an electrician. 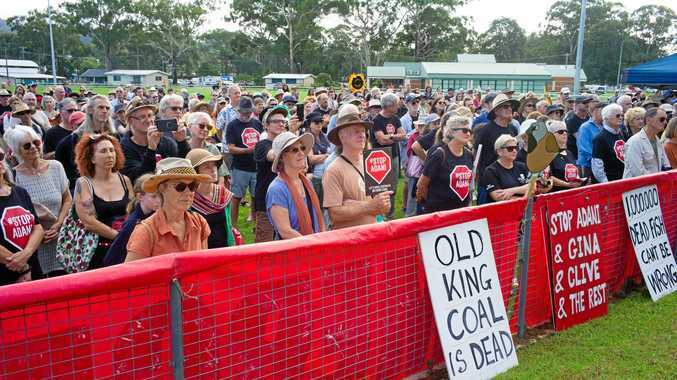 The Newcastle locals are long-time Block fans, having watched the show since the first Bondi-based season. Scott Cam says: "The quiet achievers. They keep it close to their chest and don't say too much, but they get the job done." These WA siblings should look familiar to Block fans. Ebony, an interior designer, and Luke, a carpenter, were knocked out of the final elimination round of the most recent Block season, Triple Threat. They say their style most closely aligns with Michael and Carlene from The Block Glasshouse. Scott Cam says: "The second-chance siblings giving it their best shot. They're just happy to be here."